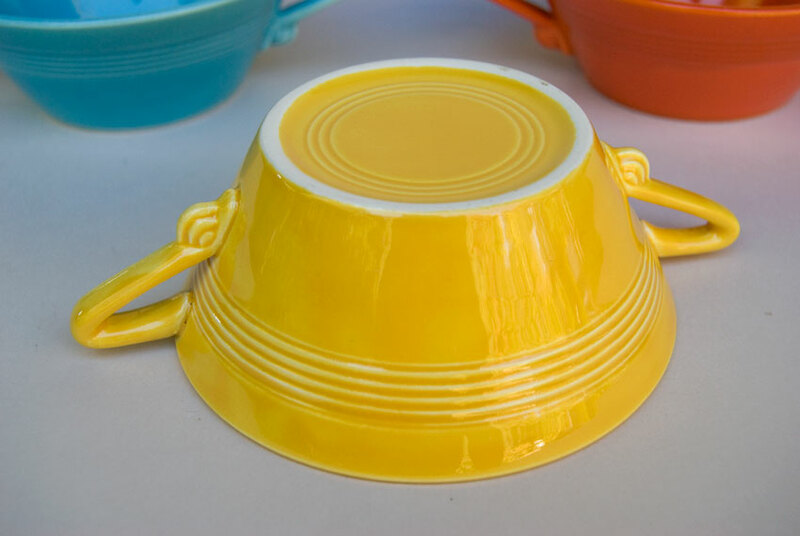 Circa 1938-1959: Harlequin pottery cream soup bowl is one of the most simple, yet daring and bold pieces of the 30s art deco line, with it's triangular handles and bands of concentric rings. 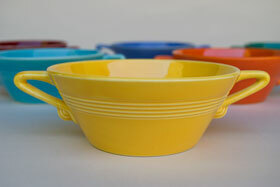 Found in all twelve colors the cream soup was added with the first expansion of the line. 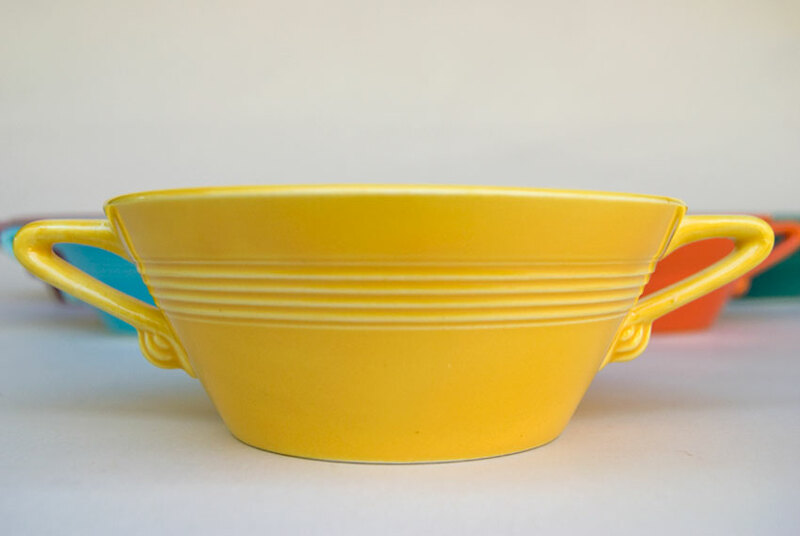 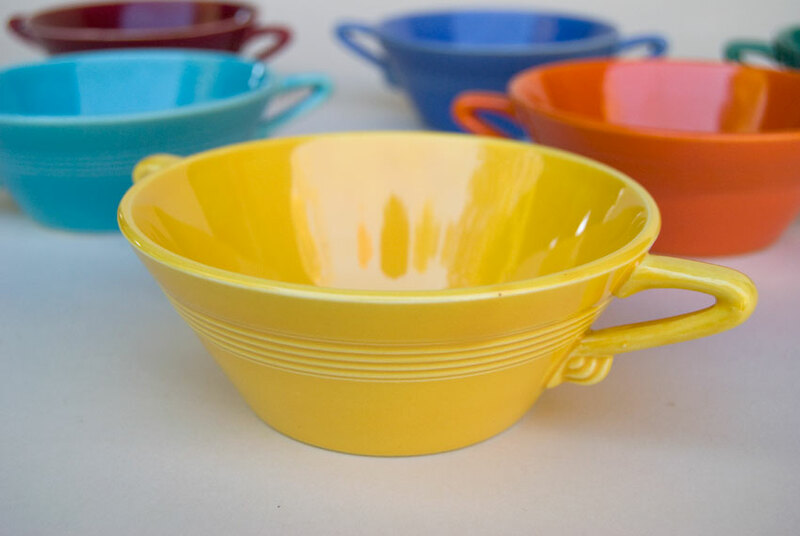 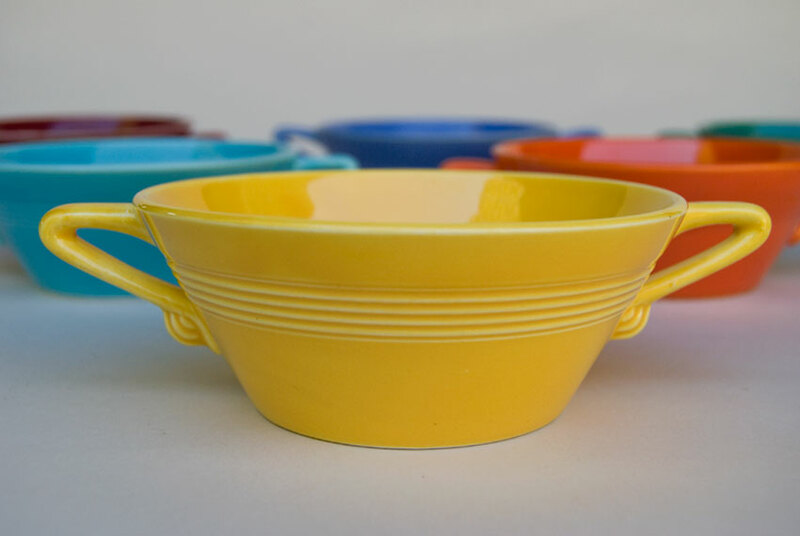 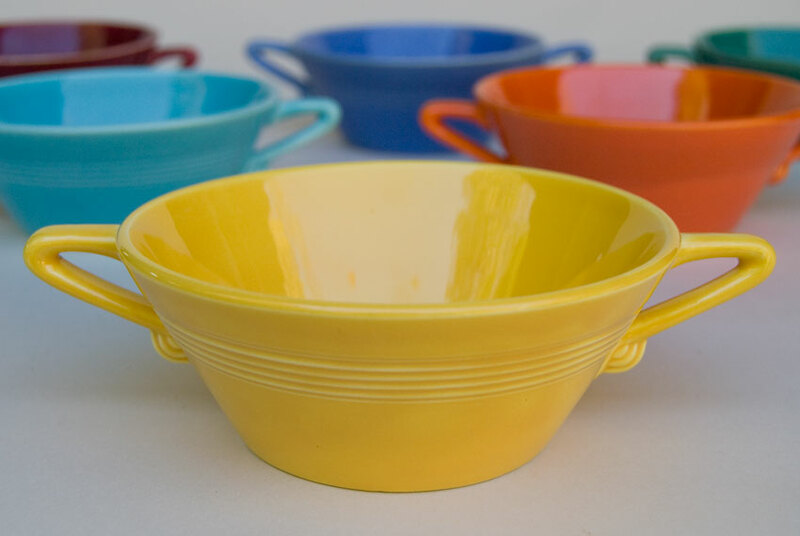 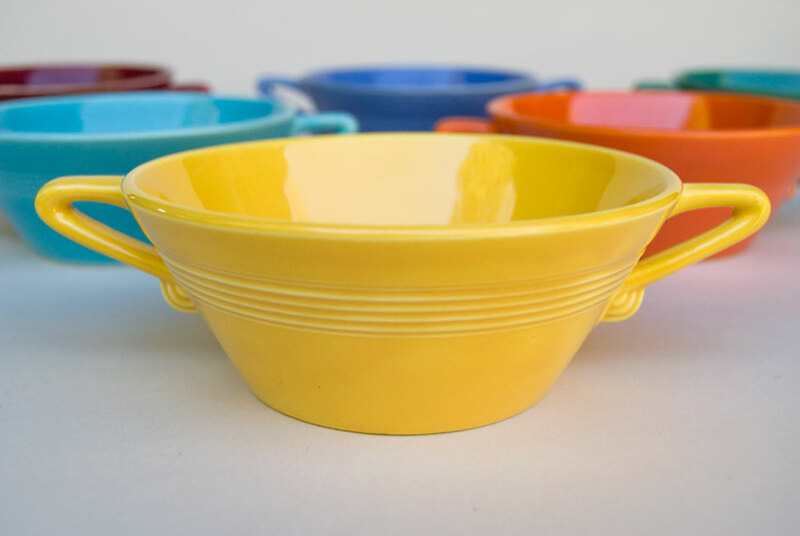 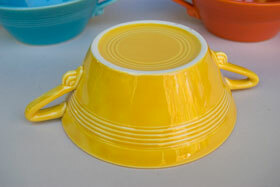 This example in original Harlequin yellow (which is brighter than the sister pottery of Fiesta) is in excellent condition without any signs of use or damage, nice and clean with great even glaze and its full original shine.